Emulsions are as central to photography as light is, but no book has ever exclusively concerned itself with them. 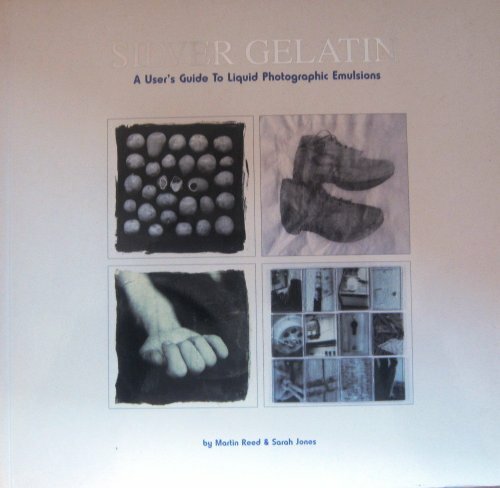 Silver Gelatin is the first--and it is both a visual anthology of liquid emulsion art and a comprehensive technical manual. It covers the chemistry involved in making emulsions, various methods of toning, and coating everything from paper and glass to fabric, ceramics (glazed and unglazed), metal, rubber, and enamel, paint, plastic, and stone. There is a very exacting section aimed at debunking the myths surrounding archival washing, an extensive troubleshooting chapter, and interviews with both artists and technicians. An unequaled resource, accessible and thorough.